Together we make a measurable impact in everything we do! Find your equilibrium with us! We work, we play, we celebrate! Our mission is to support our Clients, Colleagues and Partners in reaching their dreams, while leaving a positive imprint on the world. We are committed to top performance and quality. We constantly seek to bring higher value to all parties. We adapt to the always changing world. We try to do things better. EVERY TIME! We are supportive and cooperate informally. We listen carefully and behave respectfully. I AM as strong as my team is. MY TEAM is as strong as Accace is. ACCACE is as strong as its CLIENTS are. We give you the flexibility to react quickly and properly in fast changing environment. Freedom to be YOU in Accace and choose your OWN path for personal growth and development. Accace is more than a job. We aim to be open and transparent. We always do what we say. Spot it, own it, do it, celebrate it! Self-entrepreneurship is in each of us. We continuously seek to attract, develop and motivate individuals who wish to reach both personal and professional fulfillment, are not afraid to be themselves, believe in solutions and in mutual trust. Your ideas and engagement can shape Accace’s future and culture! Are you at the beginning of your career, you have under 2 years of experience, you are a fresh graduate or a student in a final year? 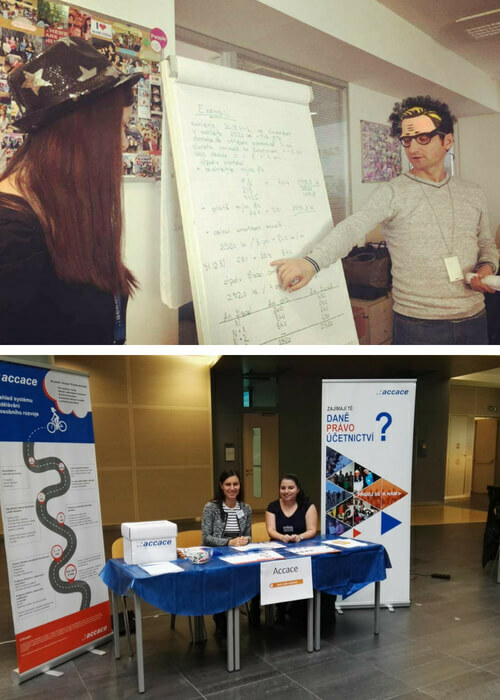 See how life in Accace is for Entry-level, Students and Graduate colleagues, as well as the current career opportunities we have for you! make yourself at home by personalizing your desk – bring a personal object and pictures! if YES – then continue, you´ve just got your first promotion! you are not so sure about it? – then we have some new challenges for you! Now that you found the right professional path, keep learning and growing! We encourage you to develop your entrepreneurial thinking and let your voice be heard. You already have a few (more) years of experience and need a job that gives you the freedom to develop as an individual, while continuing your professional growth? Discover the life as an Experienced Professional in Accace and find the right career opportunities we have in store for you! We have a horizontal organizational structure that encourage entrepreneurship and innovation. Moreover, routine was never our enemy because we constantly give feedback and adapt. We are stronger together, without losing our identity. We use our complementary skills to their best and this is seen in our everyday activity. You have access to a series of certification and professional development opportunities. Get the change to travel and experience how other offices perform their activity. We like to connect with other cultures. We are aware of how important it is to have a balance between personal and professional life. WHAT DO OUR COLLEAGUES SAY ABOUT WORKING IN ACCACE? I recommend Accace to everyone, who wants some space for self-realization and those, who are tired or disgusted by large corporations and want to work for a growing company to improve together with it. Here you do not need to “approve” everything 10 times for a simple task, just to do it, so things are more flexible and so you can better organize your working and private time. On everyday basis one learns something new and Accace will give you an opportunity, whether in the form of career growth, participation in various courses or training including ACCA qualification, language lessons, or rotation between departments. Sincerely working in Accace is not easy, but it is why we are working in teams to support each other, to turn to each other for advice or to “joke” around so our work is done easily. Because what’s more important than looking forward to work (to see your goofy colleagues, who are like you ) and not being stressed of going there in the morning or being scared of the idea “what’s waiting for me today?”. And when you have enough of everyone, you can stay home and enjoy home-office. I enjoy working in Accace due to friendly environment and colleagues. Here, I have found the proper place to fully apply my knowledge and expertise, in helping others and receive help to develop new skills. Accace is the perfect place where to continuously grow my potential. Accace is also a family, not only a workplace. I am one of the lucky ones that Accace found and chose, which I am very grateful for. My career started within the Corporate Department just as a student and I have to say that they showed me why I chose law as a studying subject. I had to finish my studies, so I had to leave Accace for a short period of time, but I was very fortunate that they offered me a job at the position of HR Assistant. Career in field of Human Resources was always something I was interested in, because it is great combination of administration, law and working with people. Accace creates great environment for my education and self-realization mostly thanks to many different trainings and also many opportunities to improve my language skills. Besides all the benefits and all the team-buildings. There is this wonderful group of people that create unbelievable working atmosphere. I am very lucky that Accace gave me the opportunity to start my career here in a field I was not totally familiar with and still keeps on improving my experience in this area. So all I can say is “Thank you”! As for me, Accace is an excellent team, providing both manager’s support and opportunities for development! I have a lot of experience, but Accace’s young and prospective team encouraged me to take international accounting exams, teach English, etc. 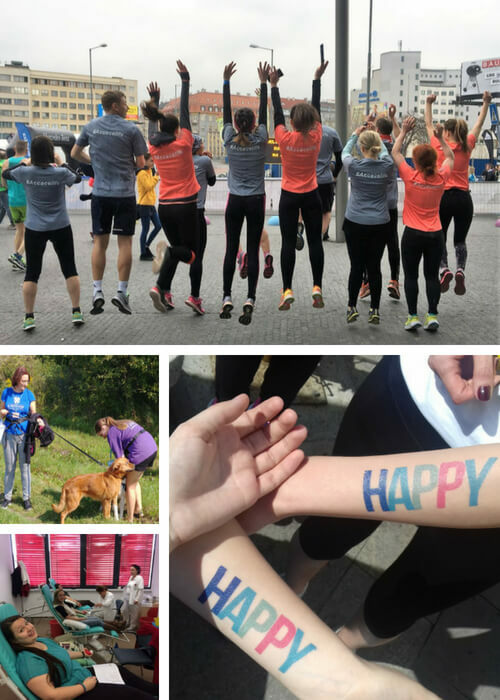 The slogan we work, we play, we celebrate is very suitable for our friendly team. I would start with the recruitment process, which has a very nice personal touch and I think this is also a trademark for the way we work among us and with our clients. What keeps me here is the challenge to grow a team and the possibility to see a direct link between effort and results. 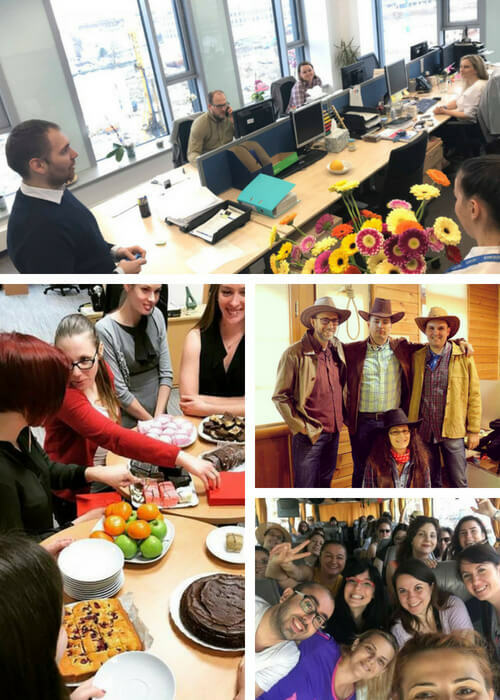 Other great things about working at Accace are the independence in organizing my workload, schedule flexibility and friendly, warm and dependable colleagues. Since I arrived to the company, I have had good treatment, so this has a great influence on my work. 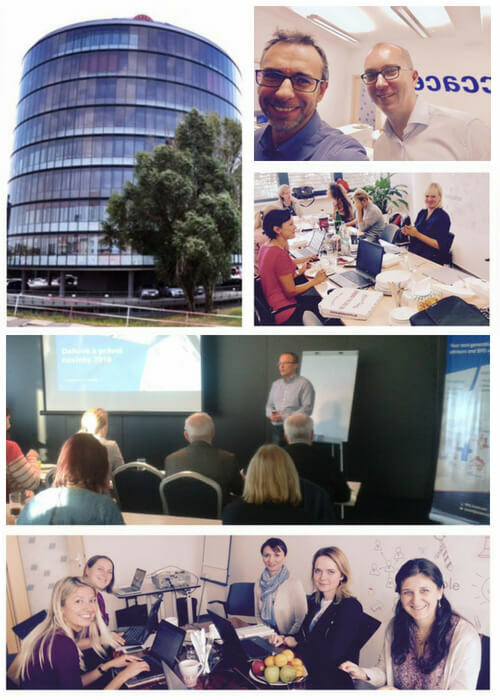 In Accace, not only I found a positive atmosphere, but also an opportunity to develop my skills and competences. In company, I have a job that makes me feel challenged and not capped. An important advantage is that I work with people I can trust and also from who I have much to learn. Furthermore, here you are supported by words and facts. I know it may sound like a cliché, but I consider my work fulfilling mostly, but not only because of the people I work with on daily basis and also the motivation from my superiors. What I appreciate the most about Accace is that they seek for potential in people. If you are willing to learn new things and can work hard – no matter what level of experience or education you have – they give you a chance and support you to grow your professional skills and develop yourself. For example I started as a Receptionist during my studies and ended up as Marketing Team Leader and this is my 6th happy year in Accace already. The thing I love the most about Accace is the friendly atmosphere and team spirit. We are a bunch of young people, who want to do big things by innovative means. We want to offer professional services, but at the same time have some fun and spend meaningfully our time at the work. 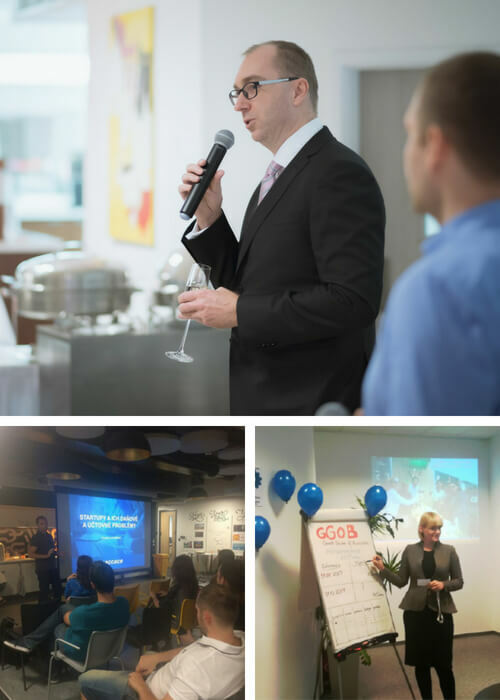 I am really happy that we managed to keep our friendly and warming “familish” environment even as we have grown to our current size of one of the biggest advisory companies in Slovakia. Meeting up with challenging projects at first hand, not only as an individual, but also within your team, shaping up your skills, knowledge and maintaining your future progress are only a small number of options Accace offers you. Over the course of 5 years, this company has presented me the opportunity for my career growth from the Receptionist, through the Office Assistant to the Project Manager, which has been and still is a major driving mechanism for constant learning of something new and not to stagnate. A great plus is also a variety of my work tasks. I also have the opportunity to work independently, but at the same time I know that I have a great support in the form of a stable company with solid background. Great benefit for me as well are the learning opportunities offered by Accace in the form of foreign language lessons or various courses and trainings according to the work tasks focus. Last but not least, one of the most positive things is a young, pleasant and dynamic team with whom you never get bored at any party. My name is Olivia, Junior Accountant at Accace, since September 2016. During this time until today, I felt that my personal and professional development grew a lot with the support of my colleagues and I became more proactive. I think this is the beauty of the company: do not be afraid to make mistakes, helping each other, grow together and empathy.